When the civil war in Sri Lanka between Sinhala Buddhists and Tamils ended in 2009, many Sri Lankans and foreign observers alike hoped to see the re-establishment of relatively harmonious religious and ethnic relations among the various communities in the country. Instead, a different type of violence erupted, this time aimed at the Muslim community. 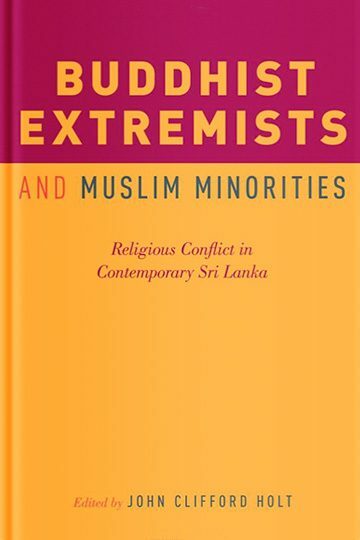 The essays in Buddhist Extremists and Muslim Minorities investigate the history and current state of Buddhist-Muslim relations in Sri Lanka, in an attempt to identify the causes of this newly emergent conflict. Euro-American readers unfamiliar with this story will be surprised to learn that it inverts common stereotypes of the two religious groups. In this context, certain groups of Buddhists, generally considered peace-oriented in the West, are engaged in victimizing Muslims, who are increasingly seen as militant. The authors examine the historical contexts and substantive reasons that gave rise to Buddhist nationalism and aggressive attacks on Muslim communities. The rise of Buddhist nationalism in general is analyzed and explained, while the specific role, methods, and character of the militant Bodu Bala Sena (“Army of Buddhist Power”) movement receive particular scrutiny. The motivations for attacks on Muslims may include deep-seated perceptions of economic disparity, but elements of religious culture (ritual and symbol) are also seen as catalysts for explosive acts of violence. This much-needed, timely commentary promises to shift the standard narrative on Muslims and religious violence.